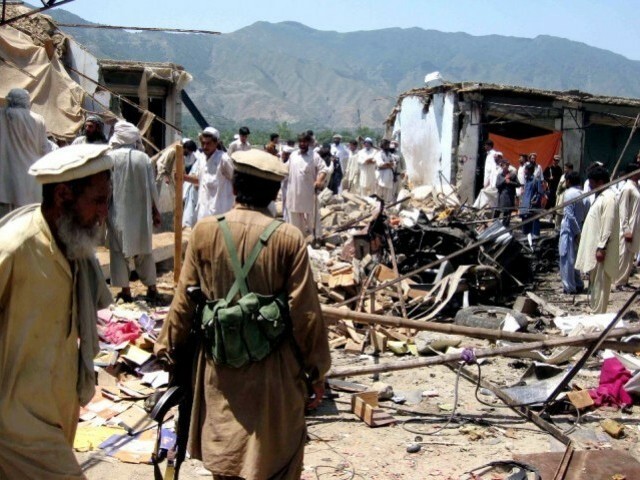 PESHAWAR: Malik Amanullah, a member of the peace committee in Bajaur Agency was targeted by terrorists through a remote controlled bomb on Tuesday in Chahar Mang area of Tehsil Nagoi. According to sources, he was severely injured due to the explosion and immediately transferred to the Agency Headquarters Hospital for treatment. Security forces cordoned off the area and began a search operation. In March, residence of Pakistan Peoples Party (PPP) leader Syed Akhunzada Chattan’s came under missile attack in the agency. Officials had confirmed that the PPP provincial president and former member parliament was present in the house when it came under attack, however, no casualties were reported. Political administration in Bajaur and Mohmand agencies and Charsadda police officials have revised security arrangement at all entry and exit points.